These CRYSTAL LIGHT Citrus Floats are both easy and delicious. 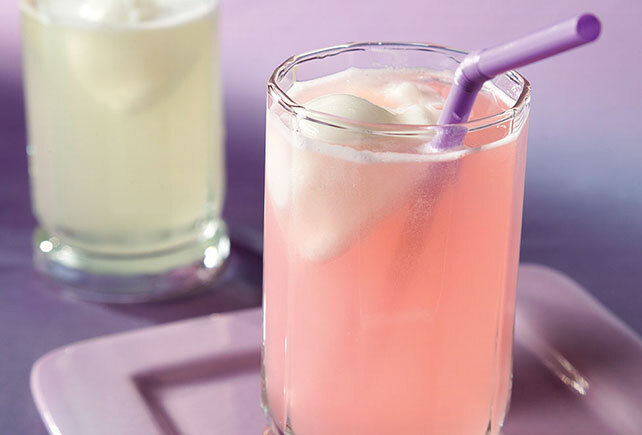 We used CRYSTAL LIGHT Pink Lemonade Low Calorie Drink Mix in this recipe, but you can choose any flavour you like, then serve over scoops of lemon sorbet. Add water to drink mix in 2-L plastic or glass pitcher; stir until mix is dissolved. Place small scoop of sorbet in each of 6 tall glasses; fill with prepared drink. For a flavour adventure, prepare using your favourite flavour(s) of sorbet or sherbet.